If web browsers on your Mac are being redirected to Bing, it’s a sign of virus activity that requires fixing and reverting Internet settings to their defaults. Custom browsing settings are among the fundamentals of user-friendly Internet navigation. Ideally, you define the preferences once and enjoy the seamless online experience further on. Cybercriminals, though, have got a twisted perspective in this regard. Some of their troublemaking contrivances bypass the admin permission stage and modify the most important defaults in web browsers installed on a contaminated host. That’s exactly what the Bing redirect virus does to a Mac. It reroutes all searches entered by the victim to bing.com. In other words, every time you try to look up a keyword or phrase via, say, Google or Yahoo!, a stealth script is invoked that changes the destination page to Bing search results. The Mac users who are confronted with this brain-twisting scenario can’t seem to revert to the right configuration by commonplace means. Getting to the custom settings pane in Safari, Chrome or Firefox and typing the preferred engine’s URL – or selecting the desired provider on the list – turns out to be a no-go. At least, the “repair” stay in effect beyond the next browser startup event. The explanation for this is trivial. The Bing redirect virus continues to run in the background and will be altering the preset in an iterative fashion. Therefore, it’s not until you spot the culprit and obliterate it that the problem will be solved. Speaking of the e-perpetrators’ motivation, it’s entirely a matter of traffic monetization. They leverage the infection to obtain and maintain control of the victim’s browsing routine. By partnering with merchants and advertisers, the virus authors benefit from every unique page hit. The shady business model may boil down to pay per visit, pay per click – you name it. This rerouting problem has nothing to do with an informed decision on the victim’s end. The malicious app usually slithers into a Mac alongside ostensibly legit software. This is what’s called bundling, a method that results in installing several programs under the guise of one. Some users have reported the Bing redirect virus starting to cause problems after they installed and activated the Microsoft Office suite. It’s noteworthy that, although the core applications in these setup clients vary, all of these occurrences have one common denominator. They are downloaded from fishy dubious websites promoting uncertified or cracked versions of popular utilities. Furthermore, it’s quite likely that the actual name of the adware is Genieo – that’s a notorious malvertising entity wreaking havoc in the Mac world for years. The key point regarding the Bing redirect virus is that the issue won’t vanish on its own. No browser update or regular manual reconfiguring will take care of the infection. Under the circumstances, the only viable countermeasure is to get rid of the malicious code proper, reset the affected browsers to their original state and then adjust them to your likes again. The how-to’s below cover all of these steps in detail. • This feature will list all websites that have stored potentially sensitive data, including cache and cookies. Select the one, or ones, that might be causing trouble and click the appropriate button at the bottom (Remove or Remove All). Click the Done button to exit. When confronted with malicious code like the Bing redirect virus on Mac, you can neutralize its toxic impact by leveraging a specially crafted system utility. The Freshmac application (read review) is a perfect match for this purpose as it delivers essential security features along with must-have modules for Mac optimization. This tool cleans unneeded applications and persistent malware in one click. It also protects your privacy by eliminating tracking cookies, frees up disk space, and manages startup apps to decrease boot time. On top of that, it boasts 24/7 tech support. The following steps will walk you through automatic removal of the Bing redirect infection from Mac. 4. 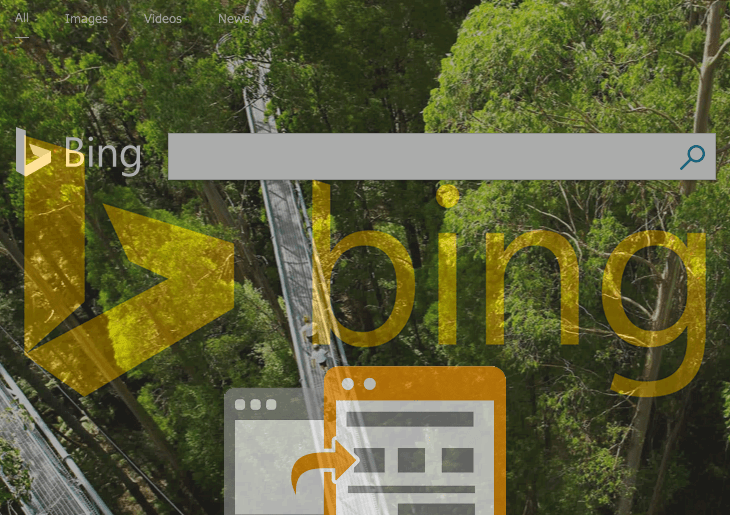 Check whether the Bing redirect problem has been fixed. If it perseveres, go to the Uninstaller option on Freshmac GUI. Locate an entry that appears suspicious, select it and click Fix Safely button to force-uninstall the unwanted application. 5. Go to Temp and Startup Apps panes on the interface and have all redundant or suspicious items eliminated as well. The Bing redirect virus shouldn’t be causing any further trouble.